As the January Sales continue with shops tempting you with further reductions, I wanted to share with you five simple tips to ensure you don’t make any rash sales purchases that you’ll later regret. So if you’ve yet to thumb through any sale rails, ‘click buy’ on a coveted item or perhaps you’ve yet to snip off the tags on items recently bought in the sales, do take a minute to read through my tips below and be sure you buy wisely. Every season I can quickly identify items which will very likely end up in the sales – those that are in colours that suit very few people – and will invariably be the ones languishing on the sale rails in several sizes. For those of you who have had your natural colouring assessed and thus know which colours suit and flatter you best, you should already be familiar with shopping by colour. Never does this become more useful when trying to work your way swiftly through the jumble-sale like rails. Many shops will group each garment type together on one rail and order by colour which makes it even easier for you to zone in on those items which will suit you best – leaving just the style aspect to be assessed. And for those of you who have more unusual colouring e.g. bright and warm, then the sales can be an excellent time for you to grab a great bargain as you may very well find colours that suit very few. 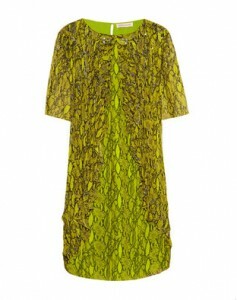 You can buy this dress at Net-A-Porter. Yes it may very well be a designer brand and/or reduced by 70% but that doesn’t mean the colour or the style will suit you any better. Don’t allow yourself to compromise on the key design elements that will ensure you look your absolutely best – you’re only cheating yourself. Some premium brand items are worth buying in the sale. For example, a high quality winter coat in a colour and style which suits your fashion personality will look great on you every season and thus a timeless coat for you. 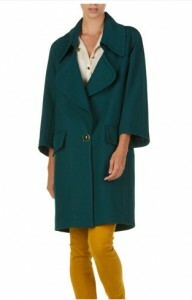 You can buy this coat directly from Hoss Intropia. Equally, this coat which I featured in my Discover the 11 Secrets to Choosing a Perfect Winter Coat blog, is still available in every size in the beautiful Amethyst colour – great for all those who suit deep, cool, soft colours and seek an elegant classic coat. You can buy this coat directly from French Connection. For men this Burberry trench coat is an absolute classic in an interesting neutral colour which will suit men with both a deep warm and deep cool colouring. 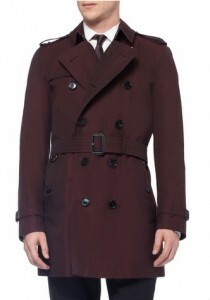 You can buy this coat from Mr Porter. 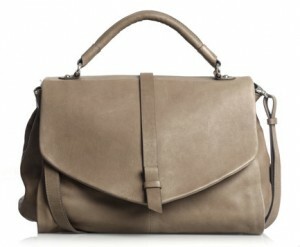 Another item worth buying in the sales is a stylish, timeless bag. This year, I treated myself to this oversized tote bag. It’s not only practical as I can fit everything in (and more) and allows me to shop hands free but the plain neutral taupe shade complements all the colours in my wardrobe and ultimately completes my look. You can buy this bag directly from Jigsaw. Some trends come and go where others remain for many seasons. I always encourage clients to develop their own fashion identity and to pick and choose which trends they adopt accordingly, ensuring all future purchases complement their own signature look. This approach remains true during sale shopping, however be careful not to buy up items that are associated with a particular trend that is unlikely to last and thus date very quickly. The Autumn/Winter 2012 print trend is a very likely candidate – difficult to wear, in particular the bold upholstery print trouser suits. The sales offer the perfect time to bolster your capsule wardrobe, some key staple items lacking from many wardrobes are smart/casual trousers (ones you can dress up or down); jeans; a blazer or casual jacket; cashmere knitwear. 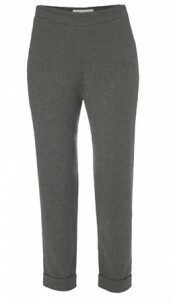 These extremely flattering high-rise cropped trousers are great for updating a smart/casual work wardrobe, or offering an alternative to jeans for stylish evening look. You can buy these trousers directly from French Connection. 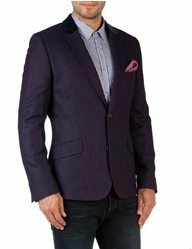 You can buy this blazer directly from Ted Baker. For times when you seek something to throw on over a basic top to add style to the overall outfit this cardigan is the perfect solution, whether it’s for grabbing as you dash out the door for the school run or a smart alternative to a jacket for work. 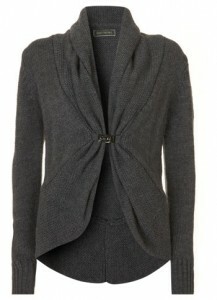 You can buy this cardigan directly from Mint Velvet. Want a hand in becoming a savvy shopper? If you feel navigating through the sales – and beyond – why not book a Women’s Personal Shopping session or Men’s Personal Shopping session? If you’d like to discover what colours will ensure you look great on you and what styles will suit and flatter your shape then you may also be interested in my personal styling services – Colour Analysis & Style Analysis – for women, or Style Analysis for Men. Why not check out other posts relating to items you might find in the sales – How to Find Winter Boots Perfect for You…and How to Wear Them and Discover the 11 Secrets to choosing a Perfect Winter Coat.